DEMOLISHED. 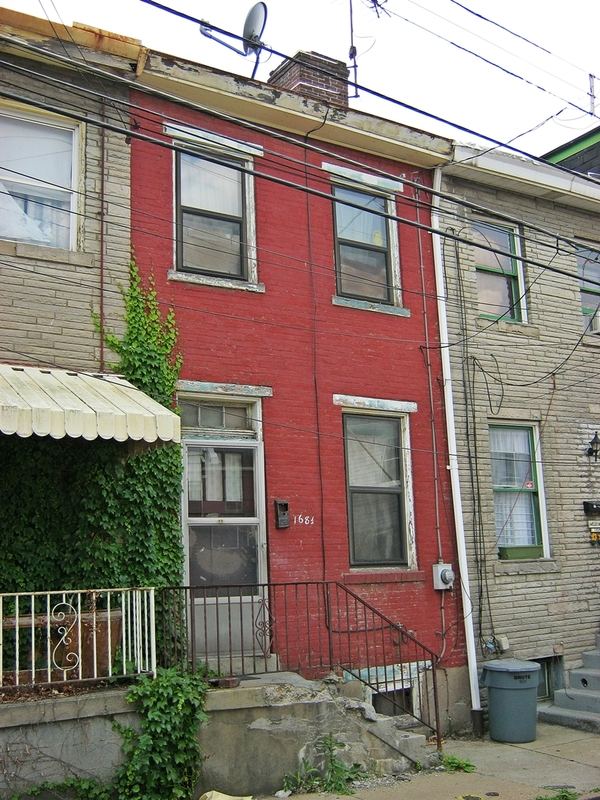 1850s row-house in up-and-coming Lawrenceville. When will the city of Pittsburgh stop putting historically significant buildings on their demolition list, and instead market them to potential buyers / rehabbers? We should be furious. This is one of many. I see your point in saving and rehabilitating buildings of historic value. I am an architect and my father comes from a financial background - we frequently have discussions about historic/design value and how that relates to finance, investment and development. For some of these properties, rehabilitation may not be financially feasible. Perhaps they are structurally unsound, or filled with lead and asbestos. I think that Pittsburgh needs new development more than it needs a bunch of vacant old buildings that are not feasible investments. At times when the two can coexist and a historic vacant building can meet a new need, I am a strong supporter of historic preservation. But for instances where that may not be the case, I encourage whoever takes over these newly-vacant property to consider the site's history and surroundings when building something new. It is possible for an exciting new design to fulfill some of the same references to scale, density, and neighborhood history. I'm happy that you support historic preservation. However, I believe there are more than enough vacant lots to support the need for new buildings. New buildings should not have to come at the expense of our history. This is where infill development comes in. We can build new buildings on the spaces where old buildings were previously demolished (and there are plenty of empty spaces. Take into account the urban prairie epidemic). Again, we can save the old building s and still have plenty of room for the new ones. It doesn't have to be new vs. Old. Also, I find that lead and asbestos is usually used as an excuse to vacate or tear down a perfectly good building!